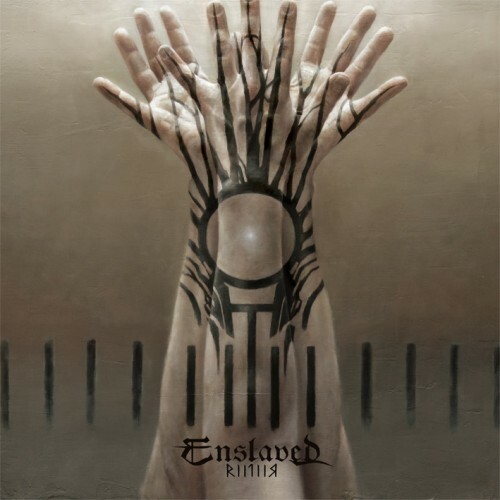 Currently viewing the tag: "IZZ"
Enslaved has really secured its position in the highest tear of metal bands in the world. Though they started out long ago in the second wave of Norwegian black metal, nothing they've done since the late 90s has really represented that faction of their existence. Instead, they've become one of metal's shining examples of a transition from the extreme to the progressive. While doing more to maintain their extremity than a band like Anathema or Katatonia have done, the band's last full length Axioma Ethica Odini and their EP The Sleeping Gods both lacked extremity while pushing out the borders of the band's progressive bona fides. I wasn't sure of what to make of Enslaved's RIITIIR when it first arrived – but while the record is ostensibly different than the band's previous work, that mellow, bong-water stain of '70s progressive rock continues to push further and further from their black metal roots. For the better?